Calculus Capital has completed a £2.5m investment in Axol Bioscience (‘Axol’). Founded in Cambridge by Dr Yichen Shi together with experienced entrepreneur and 2017 NED of the Year, Jonathan Milner, Axol provides human cell culture systems and custom services to large pharmaceutical clients for disease modelling and drug discovery. Axol supplies high quality human cells especially live human neurons, created by stem cell technology, to many of the world’s biggest and best-known pharma companies and research institutions, to be used for medical research, disease modelling and drug development. Their impressive client list includes top global pharmaceutical and biotech companies as well as leading academic institutes, such as Harvard University, King’s College London and Oxford and Cambridge Universities. Axol generates stem cells from blood and tissue cells, extracted from healthy and diseased patients. These cells are able to self-renew and may be used to become any tissue in the human body. 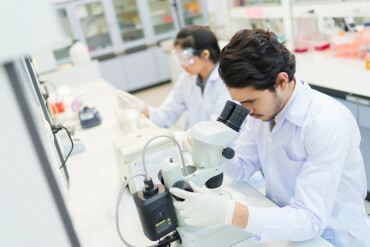 Importantly, Axol’s unique and innovative approach to this process means that each cell line it produces for customers will be identical to the last production batch, ensuring the quality and consistency required for research and drug development projects. Once a new cell line is developed from a healthy or diseased individual, it is added to Axol’s suite of ‘off the shelf’ products which may be purchased on their website. The combination of these properties means the stem cells supplied by Axol are hugely important for research into treatments for many serious illnesses and diseases, including Alzheimer’s and Huntington’s. Funds from Calculus Capital will be used to strengthen sales and marketing efforts, as well as continuing product development.